← can you see the future? “What could be more beautiful than a dear old lady growing wise with age? This entry was posted in My Snapshots, Photography, Quotes and tagged Campania, Italia, Italien, Italy, Napoli, people. 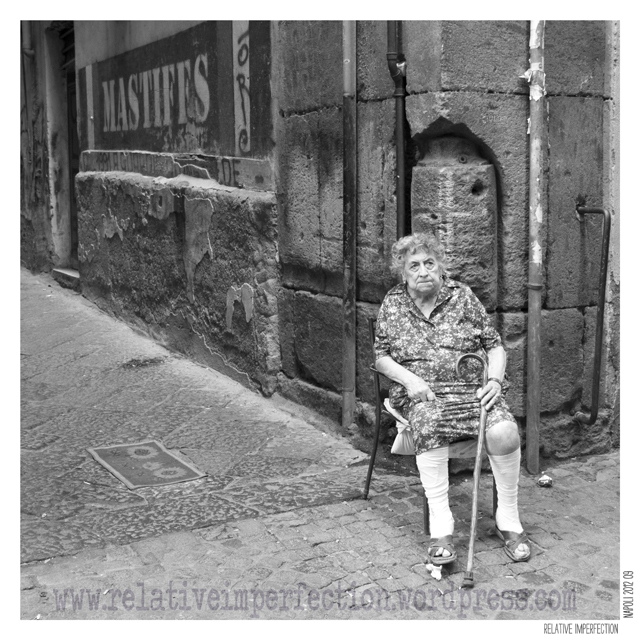 street shot, PWA Napoli 2012/09, quote, street, woman. Bookmark the permalink. ahí radica parte de la gracia del asunto… pero nunca se sabe. The picture was taken round Via San Biagio Dei Librai, in Naples. 2012/09.